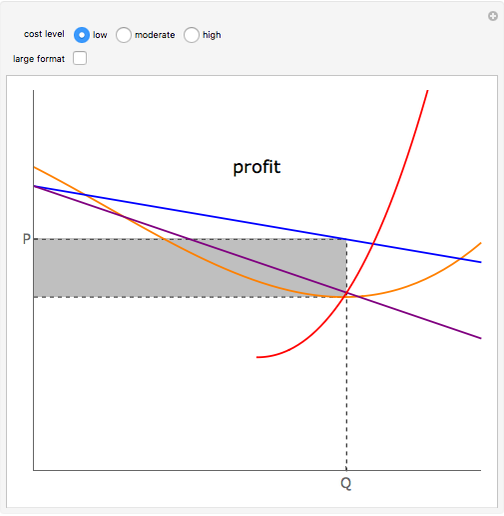 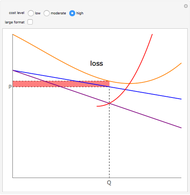 To maximize profit, a monopolist supplies a quantity Q up to the point at which marginal cost (the red curve) equals marginal revenue (the purple curve). 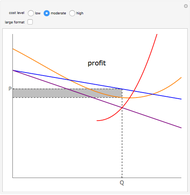 The price P is set at what the market will bear, an amount given by the blue demand curve. 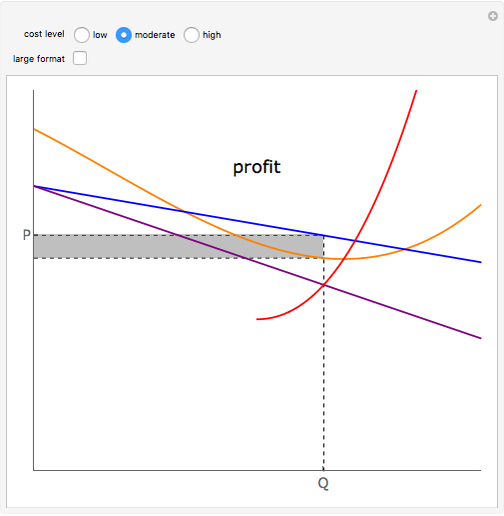 The monopolist's per unit profit is the difference between the price and the unit cost (given by the orange average total cost curve). 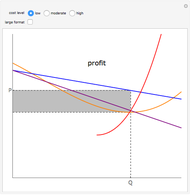 The total profit is the per unit profit times the quantity sold and is represented above by the shaded rectangle. 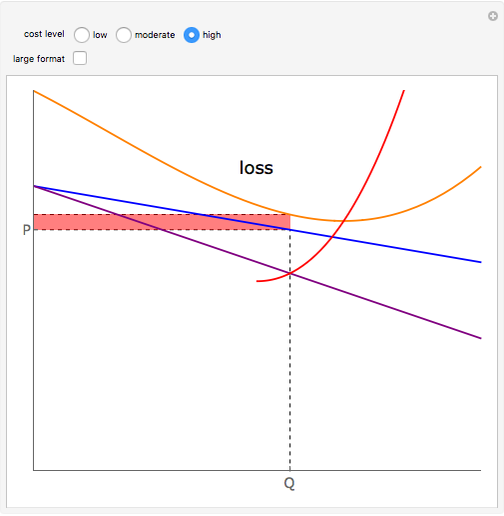 Fiona Maclachlan "Monopoly Profit and Loss"